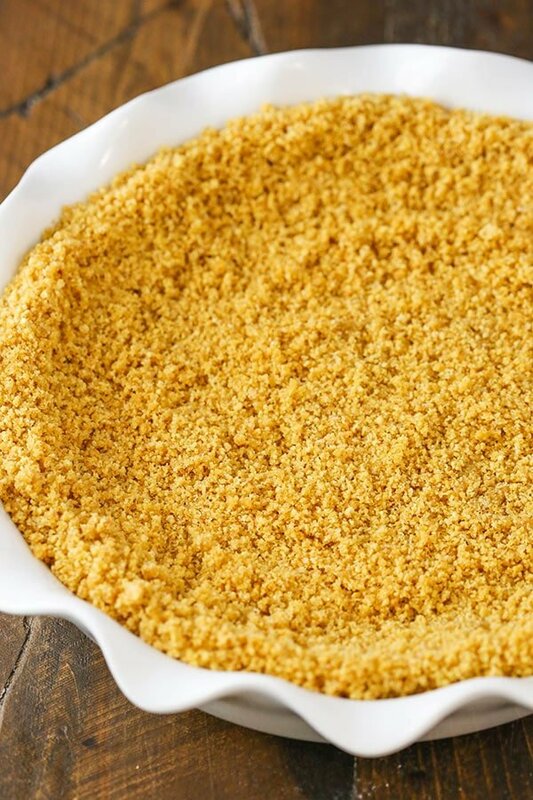 This Graham Cracker Crust recipe is easy to make and delicious! Made from scratch with only four ingredients, it won’t fall apart and is perfect for baked pies, no bake pies and cheesecakes! Graham cracker crusts are a classic. They’re used for so many pies and cheesecakes and it’s one of the easiest crusts to make and work with. I’ve always made my graham cracker crusts from scratch, so today I’m talking about the ins and outs of making a graham cracker crust from scratch. If you’ve ever tried a store-bought crust and wanted to ditch it, now is the time! 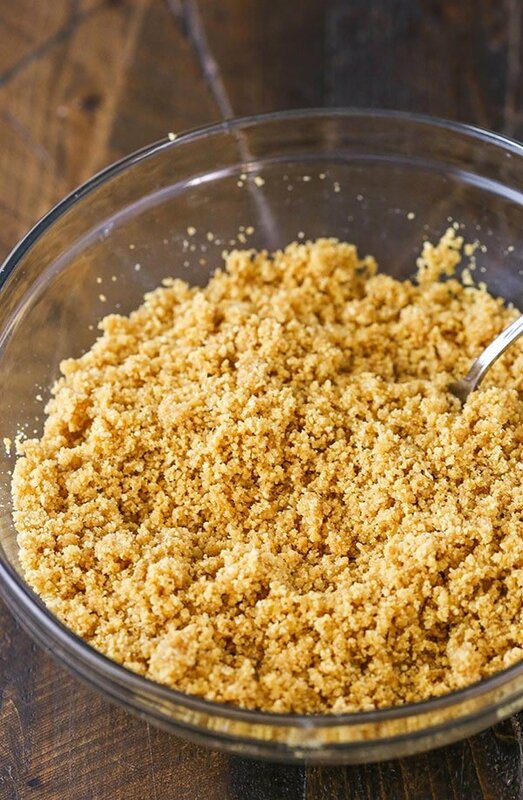 To start, you’ll need your graham cracker crumbs. I used to grind my own graham crackers and always hated all the cleaning and measuring involved. The first time I realized I could buy graham cracker crumbs, I was on it and never looked back. However, if you’re into making your own, pop about 11-12 full sheets of graham crackers into a food processor and grind them up. If you don’t have a food processor you could crush up the graham crackers in a plastic bag, but just be sure to get things nice and crushed. A solid crust’s enemy is big chunks that can cause crumbling. I also like to have a decently thick crust on my pies and cheesecakes. Not so much that it takes over, but not so little that it doesn’t add the natural flair that it should. I typically use more crust in cheesecakes than pies, since they are taller and require more to cover the sides. Not to mention that with their height, they can handle a littler thicker crust without taking over. So to make sure we have measurements correct and avoid confusion, I separated out the two crusts in the recipe below. One for pie and one for cheesecake. 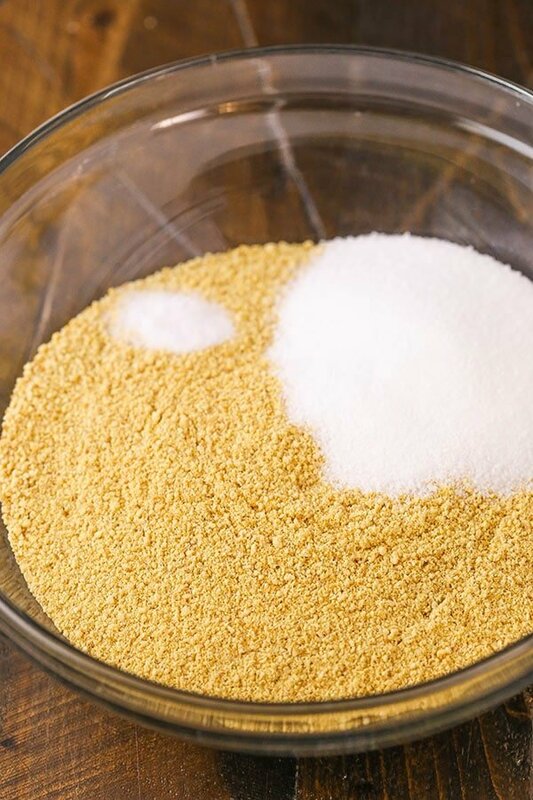 To the graham cracker crumbs, we will add some sugar. 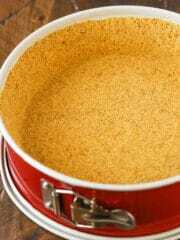 You can use granulated or brown sugar. I most often use granulated, but when making something that seems like a good fit for brown sugar, like this Bananas Foster Cheesecake, I will use it. Along with the sugar, we’ll add some salt and then finally, the butter. You could go two ways this these two ingredients. You can use unsalted butter and add your own salt, or just use salted butter and not worry about adding salt. Totally your call! Either way, add that good stuff in there and mix it all together! When combined, it should be kind of like course, damp sand. The trick with the butter is that you want to use enough to hold things together, but not so much that is pools or gets greasy. You’ll likely notice that I use a touch more butter in the pie crust recipe compared to the cheesecake crust. I find a little less butter is better with a cheesecake crust so that it doesn’t drip out of the springform pan. 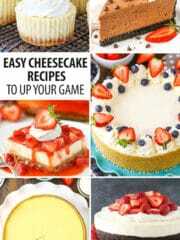 Plus, cheesecakes tend to slice a little better since you remove the springform pan sides, so a little extra isn’t really necessary. Pie pans are tricky little beasts, so a little extra butter to hold things together is helpful – especially if it’s a no bake pie. 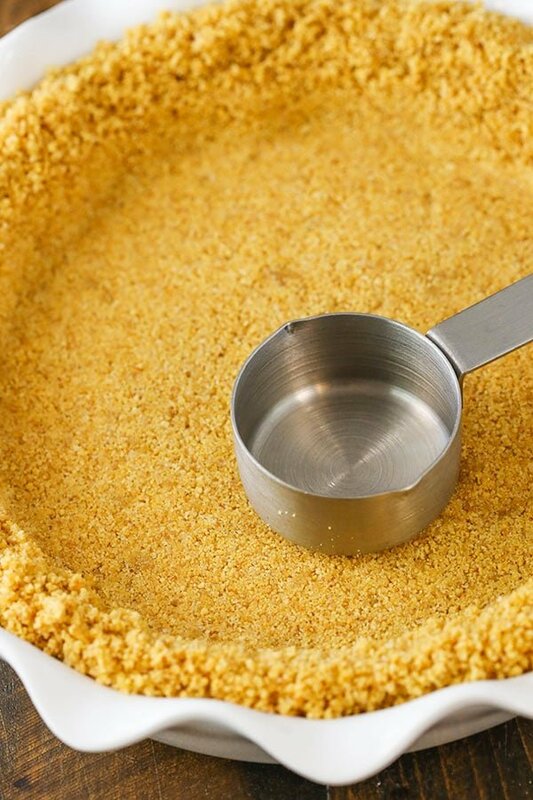 Pour the graham cracker crumb mixture in your pie pan or springform pan and press it into the bottom and sides. I first like to spread the crumbs around the pan evenly, so I know I won’t get a super thick bottom with nothing left for the sides. Dispersing the crumbs out to the sides and everywhere helps. When it comes to pressing the crumbs, I like to use a glass with sharp corners and straight sides or a measuring cup to help press the crust down and make sure it’s firmly packed. Use your fingers to move the crumbs around and get them in place, then use the cup to firmly press them down. For a pie crust, use the measuring cup for the bottom and then your fingers for the sides. 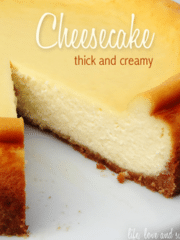 For a cheesecake crust, use the measuring cup along the corners and edges as well. This is where a cup with sharp corners and straight sides can be helpful. A regular glass cup might be taller than the measuring cup and make the sides a littler easier and more even and give you sharp corners, as you can see me do in the video for this Browned Butter Pecan Cheesecake. DO YOU HAVE TO BAKE A GRAHAM CRACKER CRUST? 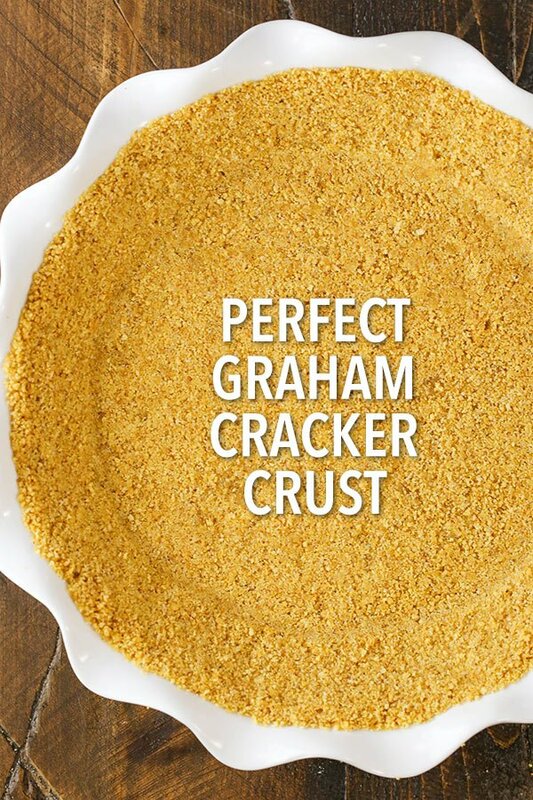 You don’t have to bake a graham cracker crust, but I always recommend it. It does a much better job of holding together and not getting crumbly. Why is that? Well when you bake the crust, the butter not only holds the crust together, but so does the sugar, which melts when heated then cools and firms. If you don’t bake the crust and just refrigerate it, the butter firms up and holds it together, but you don’t get the same double action as with the sugar and butter in the baked crust. Like I mentioned before, you’ll notice I use a little more butter in a pie crust and this is the other reason – it allows for a no-bake crust to hold together better. Not to mention that if you rely on cold butter for a no-bake crust to hold together, you better not let the pie (or cheesecake) sit out before serving it. If cold butter has to hold it together, room temperature butter will not do the trick. 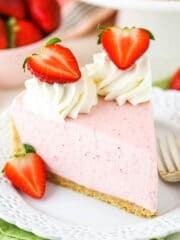 You don’t necessarily need to refrigerate the crust before adding the filling, but you should definitely refrigerate the no-bake pie or no bake cheesecake for at least 2-3 hours before serving so the crust is firmed up. So bottom line is – you don’t have to bake a graham cracker crust, but I always recommend it for a crust that holds together best. If you are going to bake the crust, bake it at 325 degrees for about 8-10 minutes, then it’s ready to go! Add whatever you like to it and enjoy! 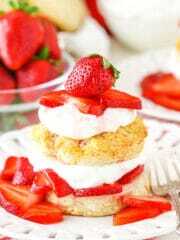 * If you don’t have graham crackers where you live, try digestive biscuits or tennis biscuits. * Use any flavor of graham cracker – regular, cinnamon, chocolate – to switch it up! You can even add about a teaspoon of ground cinnamon to the graham cracker crumbs and it gives a little something extra to the crust! * About 11 graham cracker sheets equals 1 1/2 cups of graham cracker crumbs. * Use a food processor for crushing the graham crackers, or crush them up in a ziplock bag. Just be sure to not leave any big chunks remaining. * For a no bake crust – be sure to keep it cold. Butter binds the crust together and if it softens, so will your crust. *For a gluten free crust, try gluten free graham crackers/crumbs. 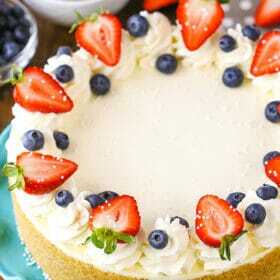 * This crust can also be used for mini cheesecakes. 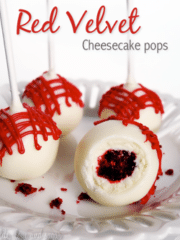 For directions, see these Mini Cheesecakes. 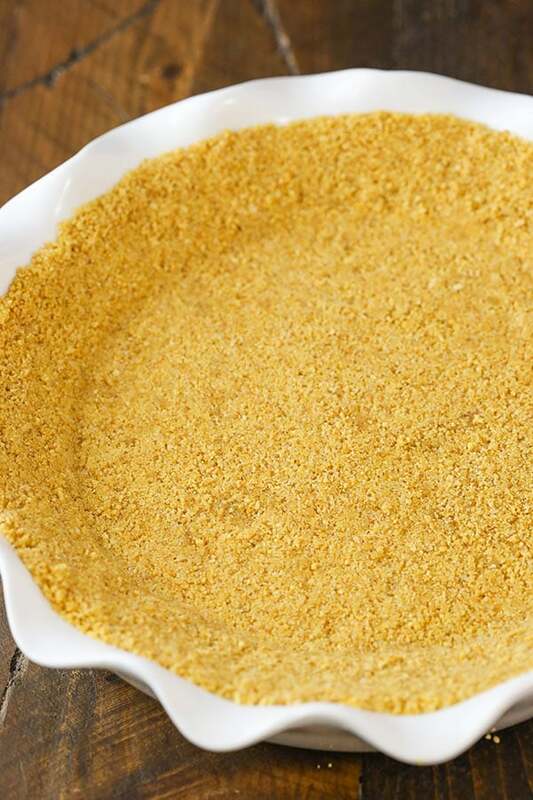 This graham cracker crust is easy to make and delicious, made from scratch with only four ingredients! 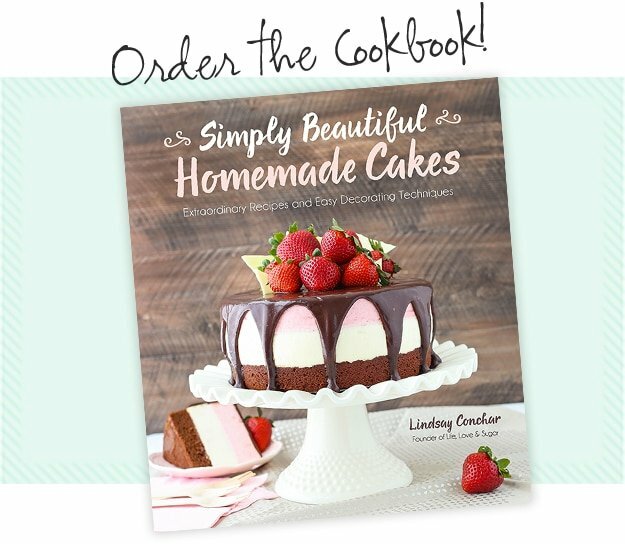 It won’t fall apart and it’s perfect for baked pies, no bake pies and cheesecakes! 1. 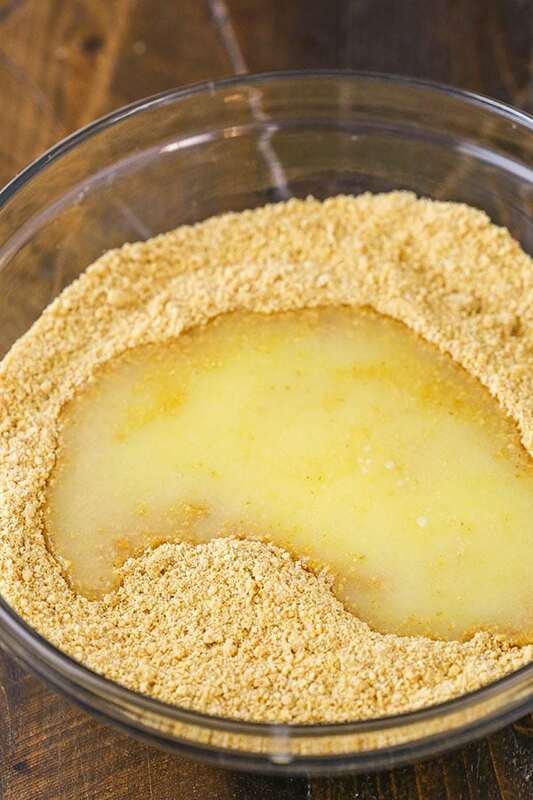 Add the graham cracker crumbs, sugar, salt and butter to a large bowl and whisk to combine. 2. Add the melted butter and stir until well combined. 3. Pour the mixture into the pie pan or cheesecake springform pan and spread the crumbs around so that they are evenly dispersed. 4. Press the crumbs into the bottom and up the sides of the pan. Pack it firmly. Use a measuring cup or glass with sharp corners and straight edges to help and use your fingers for the sides of the pie pan. 5. For a baked crust, bake at 325 degrees for 8-10 minutes. 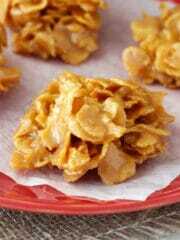 For a no bake crust, refrigerate until ready to add the filling, then keep refrigerated for 2-3 hours before serving. 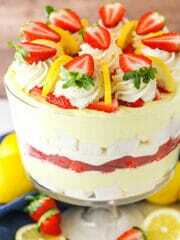 Keep refrigerated until ready to serve. 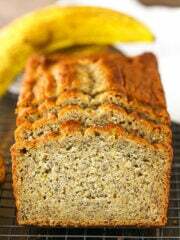 You can use granulated sugar or brown sugar. Keep a no bake crust refrigerated until serving. The cold butter is what keeps the crust together, if it sits out and the butter softens, so will the crust. The amount of crust listed for a pie is best for a 9 to 10 inch pie pan. The amount listed for a cheesecake is best for a 9 inch cheesecake. I cannot find Graham Crackers here in South Africa. What can I substitute it with? Or can you supply the recipe for Graham Crackers so I can make my own? This crust looks scrumptious. 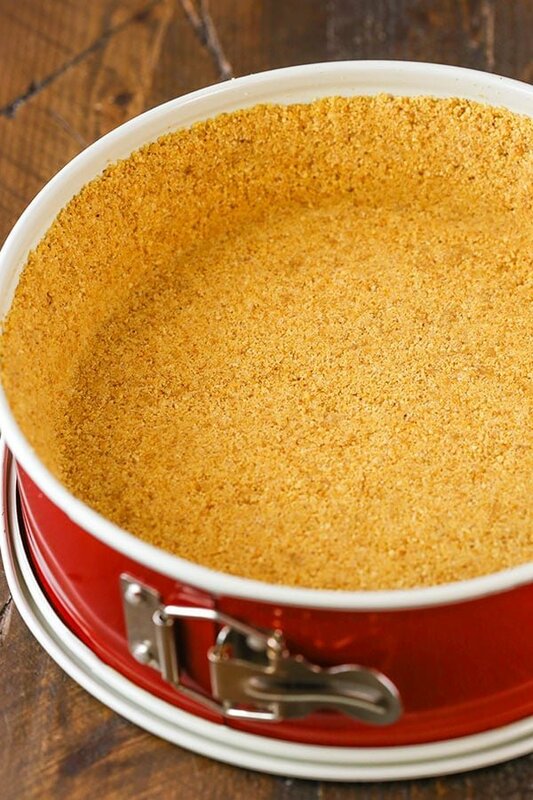 Have you ever made a gluten free graham cracker crust? 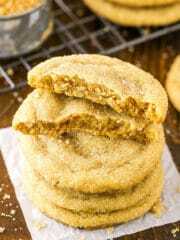 I haven’t, but I just added a link to some gluten free graham cracker options in the “tips” section above the recipe. I hope that helps! bring me joy! Thank you. Aww, thank you! Happy New Year to you as well! I’m so glad you enjoy the recipes and blog! You need to do the same post for OREO crusts. Use cup measurements not the number of OREO cookies used. Yes, I actually have it on the calendar. 🙂 I make them a little bit differently and will include both cups and number of Oreos.